Okay, so nearly a month with no post. I guess things have been a little nuts around here. Lots of traveling for the hubby means not a lot of blogging time for me. I swear Little is the busiest kid I’ve ever met! Even at only 7 months, she pretty much requires constant entertaining/corralling. Not sure if that’s going to get worse or better. 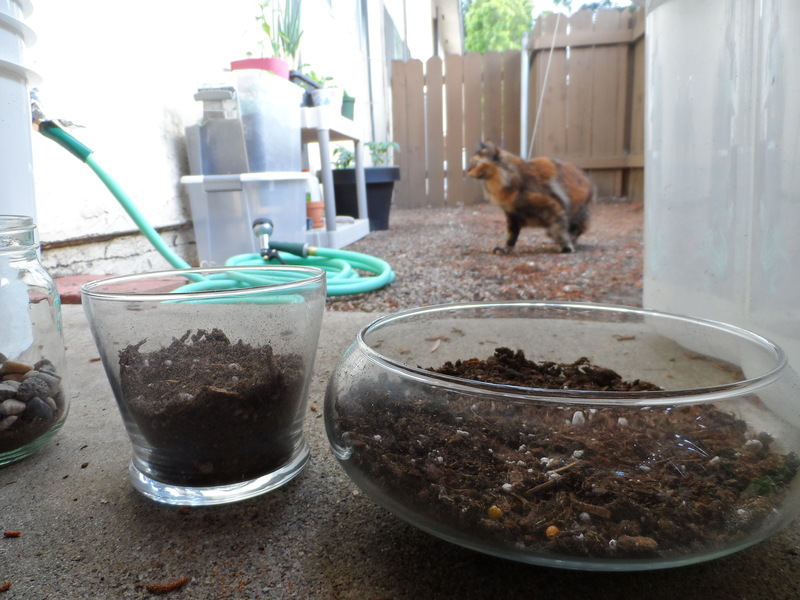 You can see my big terrarium in the background. 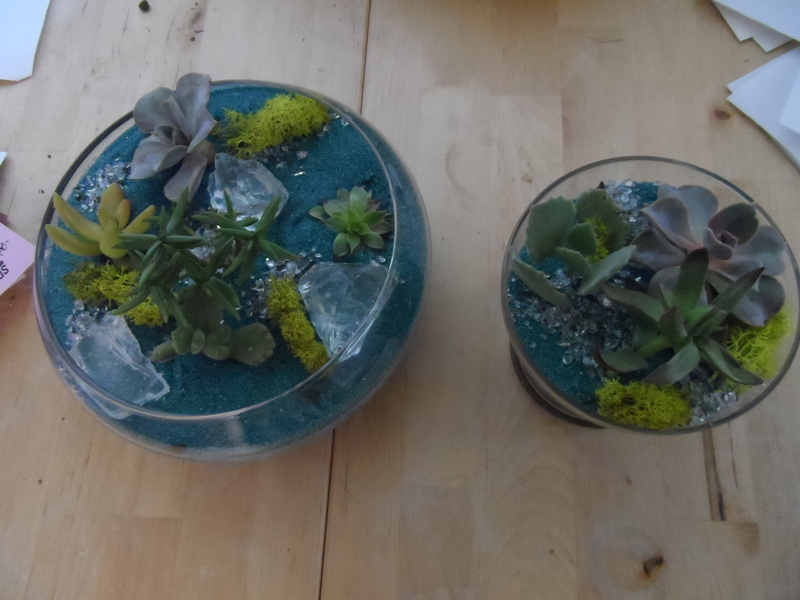 Okay, they aren’t terrariums in the traditional sense (covered), but you can use this method for those too! 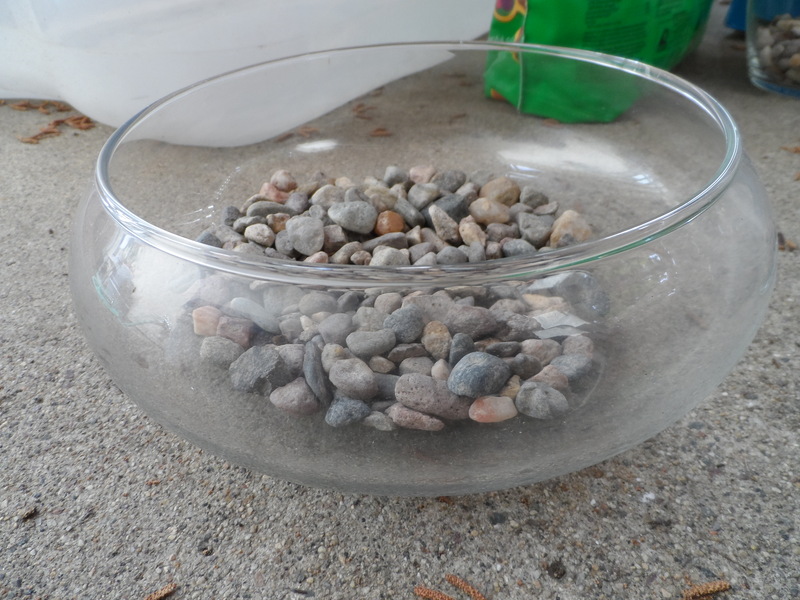 Step 2: Put in a good handful of gravel. 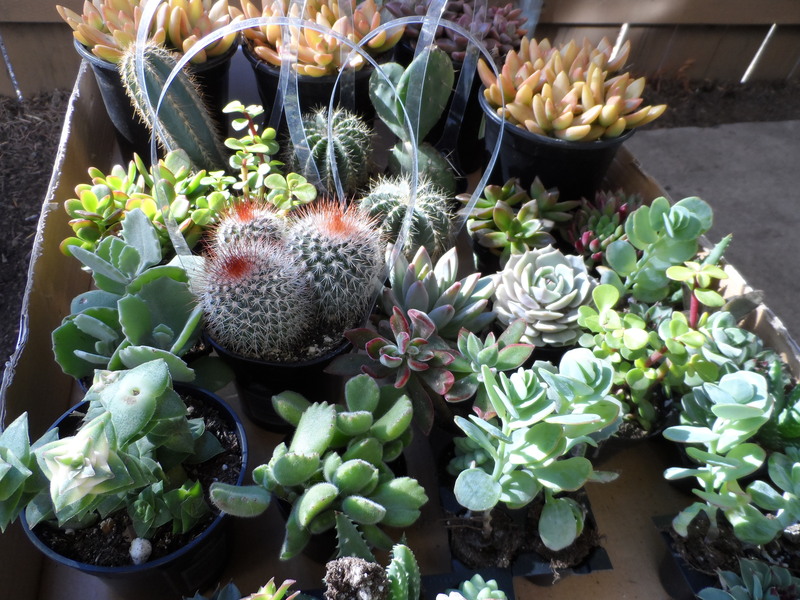 Succulents (and most other plants for that matter) are going to need good drainage. 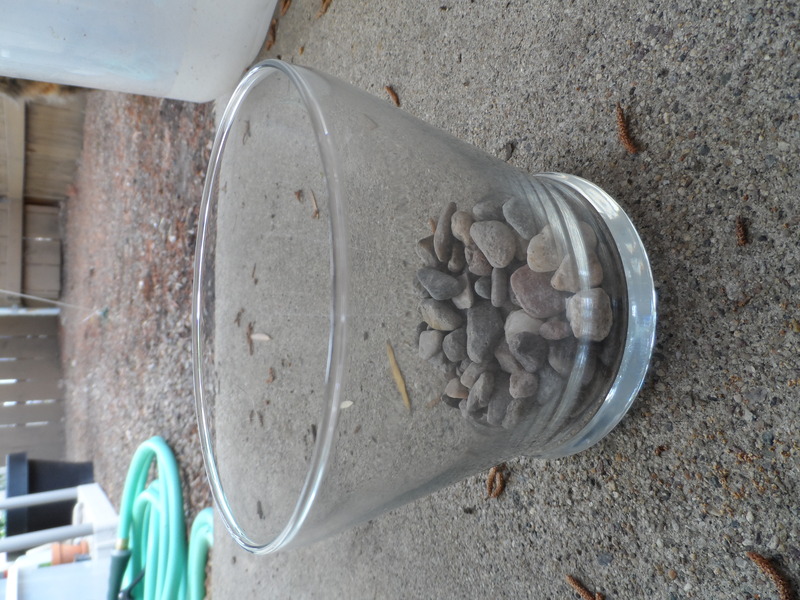 This will give the excess water someplace to go if your container doesn’t have its own drainage. Step 3: Add dirt. Easy enough. Just a thin layer to start. The ever helpful Leah, and the “garden” in the background. BOUNUS ROUND!!! 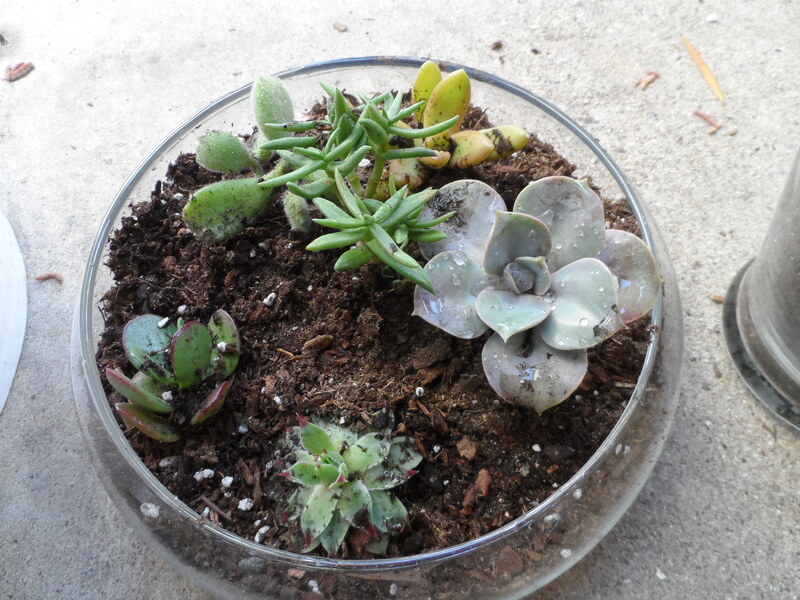 If you’re feeling creative, once the dirt has dried a little, brush off any extra dirt from the plants leaves. I like to use an old paint brush for this. 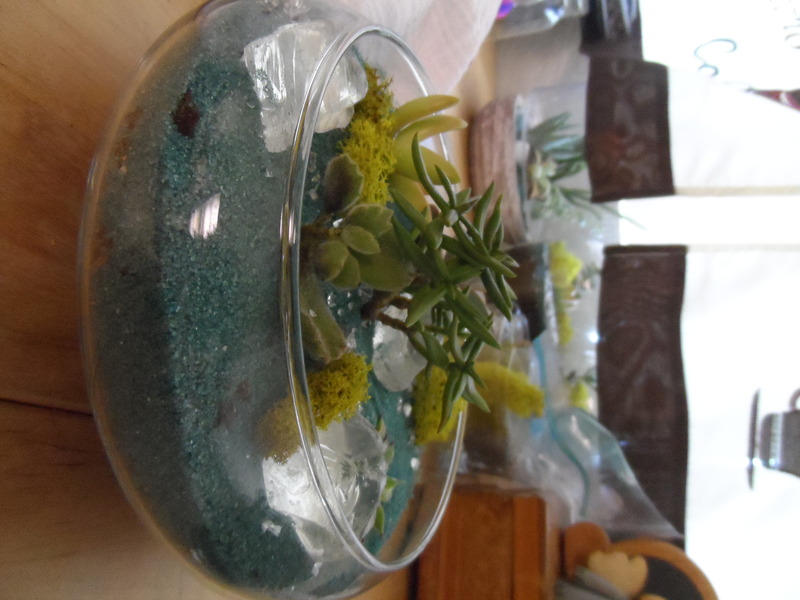 Then, gather up some colored sand, pretty rocks, moss, or anything else you think would be fun and let the decorating begin! I LOVED the glass chunks I found at Pigment! 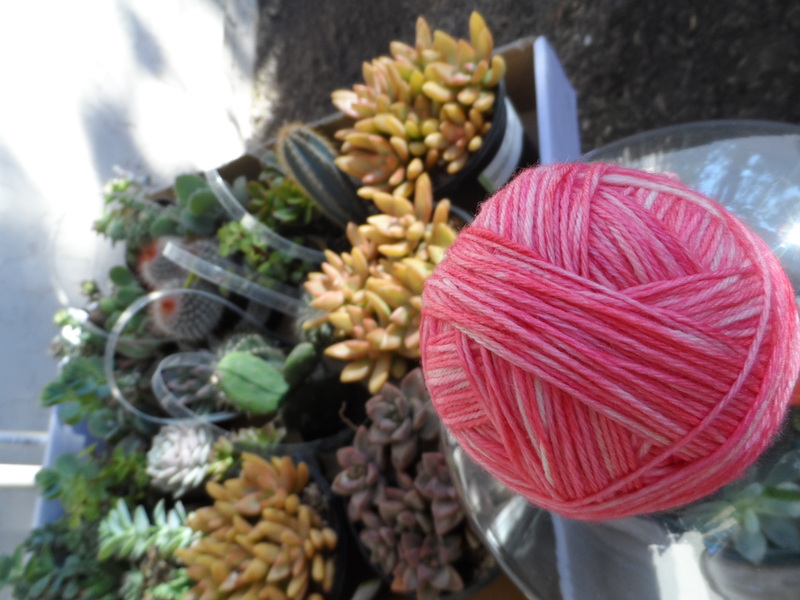 I’m lucky in San Diego to have a really cute shop at my disposal with TONS of terrarium supplies. You can order most of their stuff on-line too! 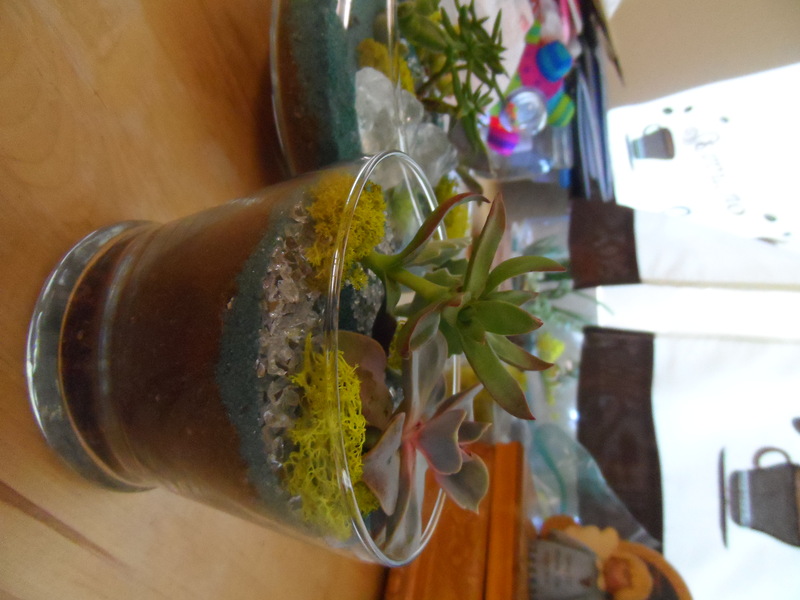 www.shoppigment.com I got most of my plants, all the sand, moss, and decorative glass bits from there. They also carry air plants, which I’m slowly getting obsessed over. Those will definitely make an appearance in my next terrarium! So, make one, give one, cover your house with them! Just have fun!!! What kind of do it yo-self gifts made the rounds in your family this Mother’s Day? 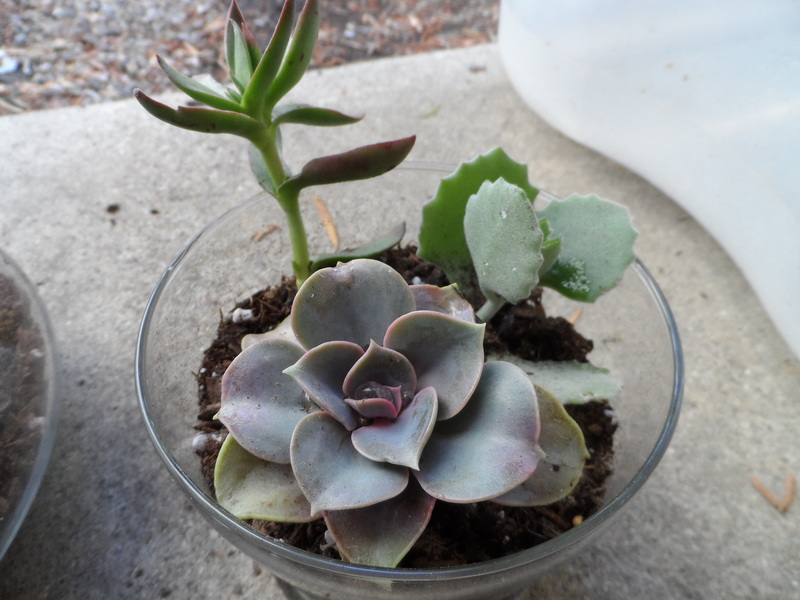 My sister saw my it and thought it would make a cute center piece, so I ran with it. 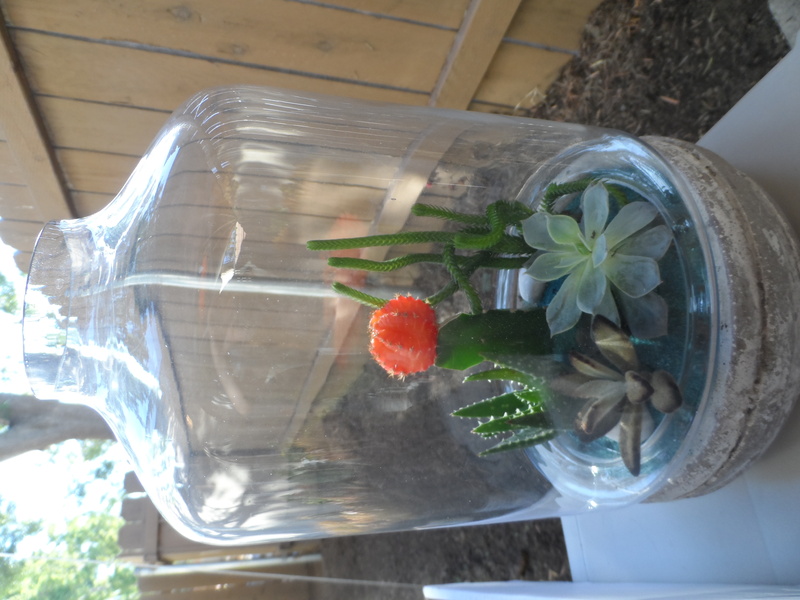 She already had a bunch of mason jars, so we’re going to use them to make mini terrariums! 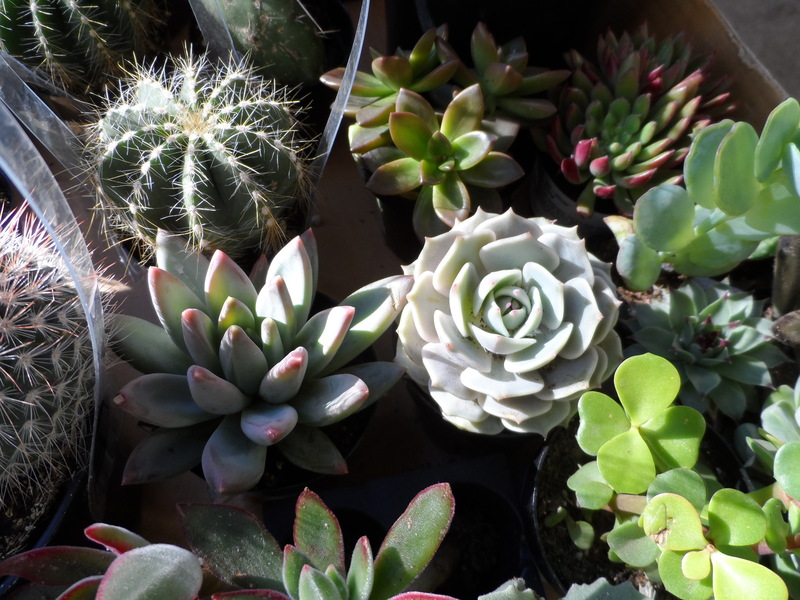 We got a bunch of cute succulents from Pigment, and a handful from Home Depot 😡 to fill in. 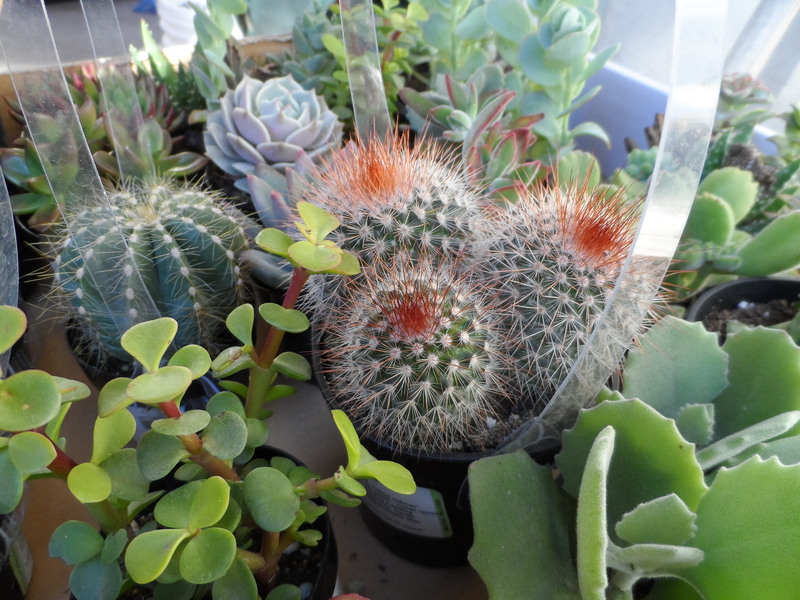 The set of 3 cacti are called “Red Headed Irishmen,” ha!